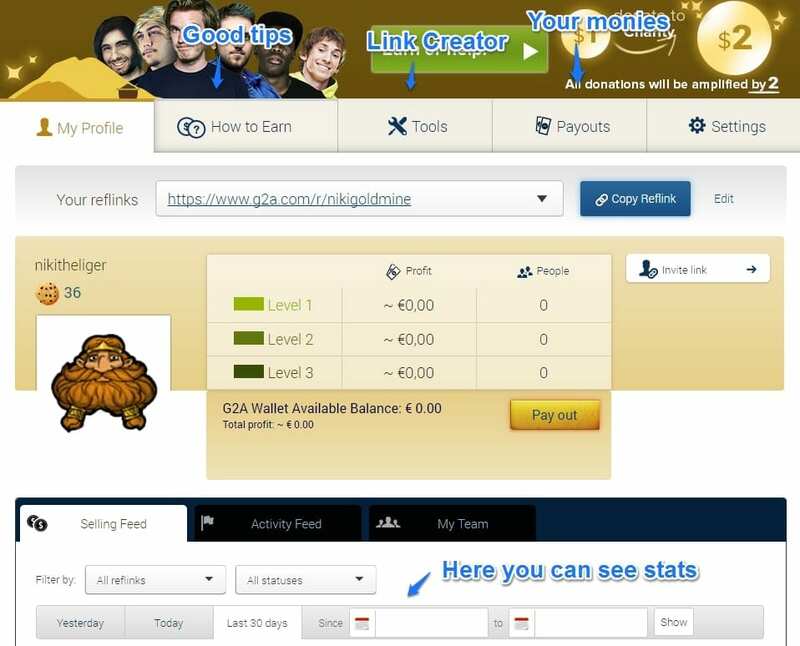 Welcome to the new series where i gather up some of the Affiliate and Referral programs where you can join and start to earn some income when your viewers or followers buys a game. You will find tips for starting out to advanced tips from this article. 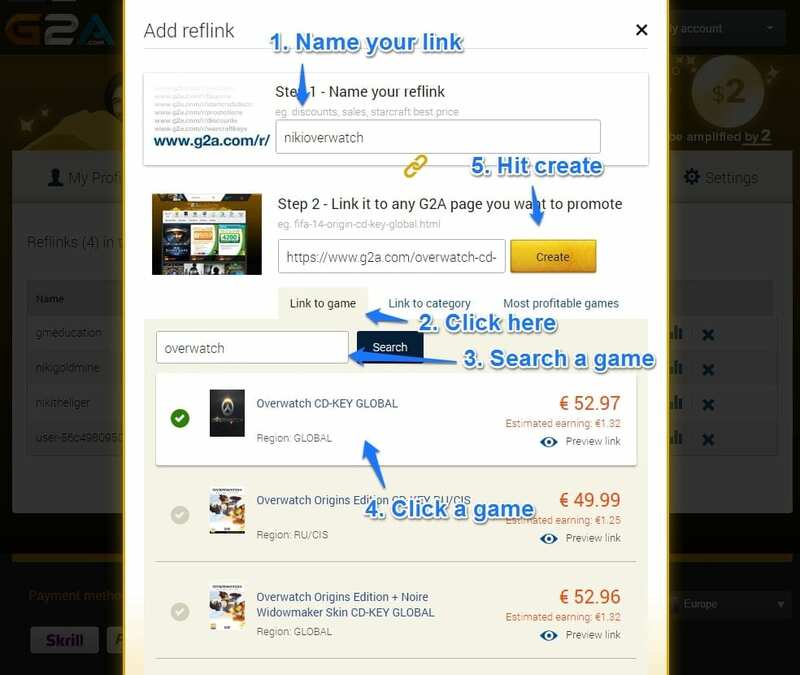 What is this G2A – Goldmine thingy? 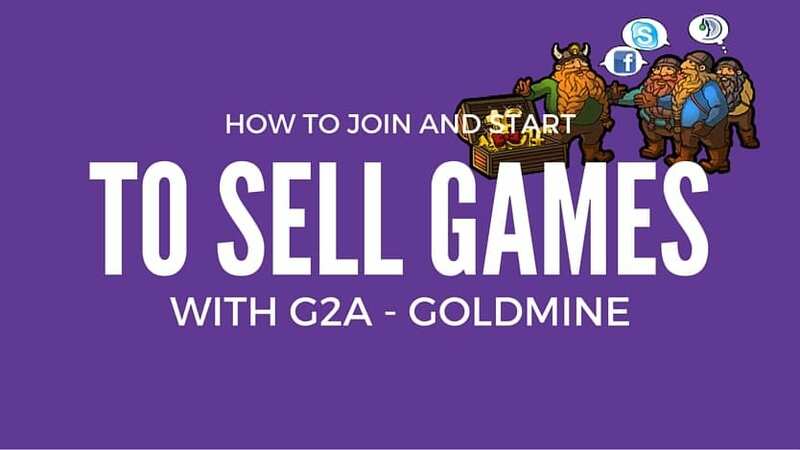 G2A – GoldMine is one of the most popular platforms that streamers use and it’s really simple at the same time. G2A is also pretty good since you don’t only get commission from the first sale but every sale afterwards. So when someone uses your reflink they will be added to your team and you will get a cut from it. Step 1: Joining up for the program – Click the image below or click here..
That button will take you through a normal sign up process where you need to create a username if you don’t already have one. When you go through it come back here and let’s continue for some advanced tips. From your profile you can see how many folks have clicked your links.. How many folks do you have from that link and how much money you have earned. There is also good stats tool if you want to get an idea on what works and improve your sales. I would also suggest you to take a look at the How to Earn spot when you have signed up since. It gives good tips how you can use your reflinks the most effectively. First let’s create an universal link for you that you can use for example in Nightbot or in a image in your tiles. Congratz! You now have a reflink that you can use to direct visitors and start to earn some commissions. I would suggest you to put your reflink somewhere where you can just Copy/Paste it easily when needed. I use Evernote to keep all the links in check. Most of the streamers generally just create an link for the main website but you can actually go even further with little optimization. This is a really effective trick to get sales faster and it works since folks are quite lazy in the internet. So how do we do this? You need to go to the same tools tab we used previously to create a link for a game specific link. In this tutorial we are going to create a link for Overwatch since it’s really popular at this time. And now we got a reflink for a spefic game! 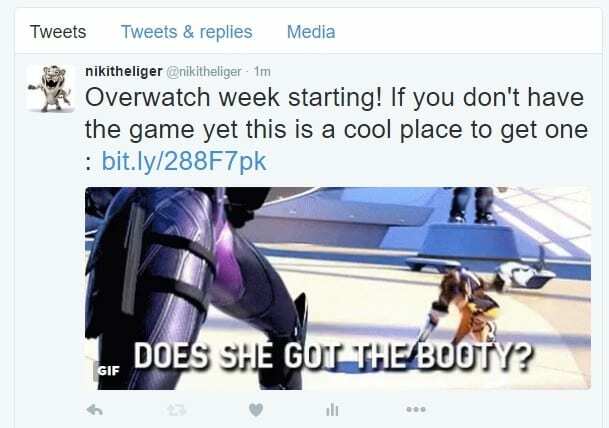 For me it’s: https://www.g2a.com/r/nikioverwatch i would suggest you to try your own reflink if it actually works. There has been some cases that it actually goes for an error page. So it’s best to try out the actual link. Let’s face it.. That link is too long for actual Facebook or Twitter notifications. Since we are going to actually want to put some text before the advert so we can notify people about this game. So let’s head over to bitly and make the link a lot shorter. Okay now it’s time to actually to do the thing that can get you quite a lot of money when you do this. I would suggest that you notify your followers before the game actually coming out since it’s the most likely time that people will actually buy the game. Alright now you should be all set! Good thing to remember is that the income that you actually get is usually tied for how much you advertise the games in social media. And in your Twitch Chat.. Maybe you have also seen that many streamers include that universal link that usually is a timed command?